Ok, so I’m a huge fan of facial tools. I love cleansing brushes, facial massage, and anything similar that helps stimulate skin cells and boost circulation. That’s why I love these cleansing brushes. Not only are they giving you a deeper clean to prevent breakout, but they’re also allowing dead skin cells to exfoliate quicker which helps boost collagen production. More collagen = softer, plumper skin. Basically my goal 100% of the time, so anything I can do to get there, I will! Be gentle! Very lightly touch your skin with the brush, and move in a gentle circular motion. Some people have complained of redness and irritation from cleansing brushes, and this is almost definitively due to brushing your skin too hard. After using your cleansing brush, follow your normal skincare routine. I like to apply a serum immediately after, because my skin is exfoliated and susceptible to absorbing whatever I put on it first. So, use your highest quality products right after you brush! 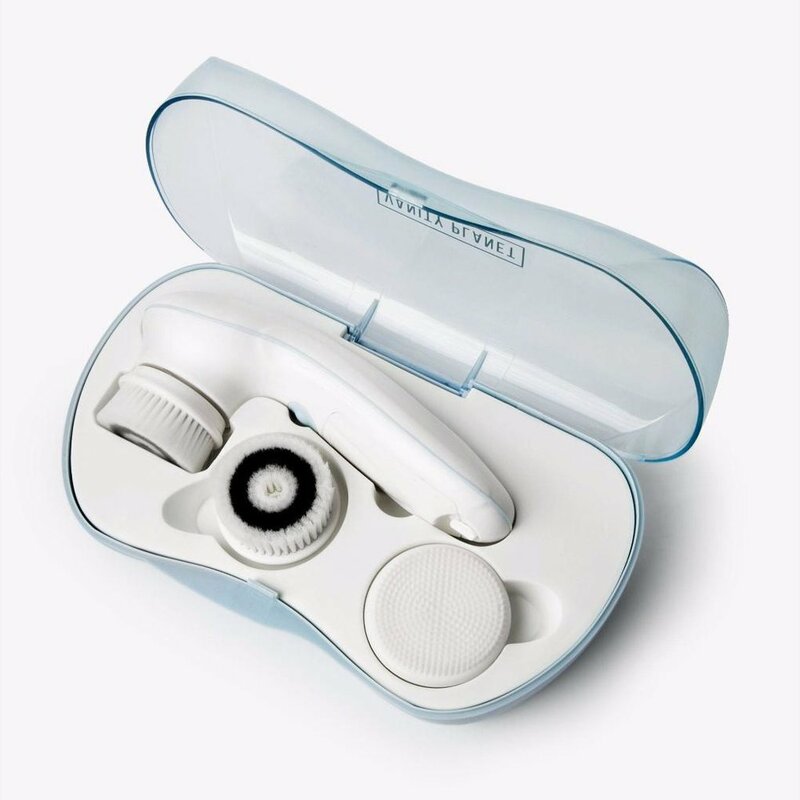 Avoid exfoliating products when first using a cleansing brush. This includes chemical exfoliators (salicylic acid, benzoyl peroxide, glycolic acid, lactic acid, etc.) and physical exfoliators (cleansers with beads or other rough texture). Using these products along with a cleansing brush could cause irritation. Avoid using them together unless instructed by a dermatologist. I think that about covers the basics! If you want a link to the one I use, here you go! If you’re thinking about buying one, might as well do it on cyber Monday! It’s the perfect gift for the holidays, and it’s on sale now - 70% off at checkout!